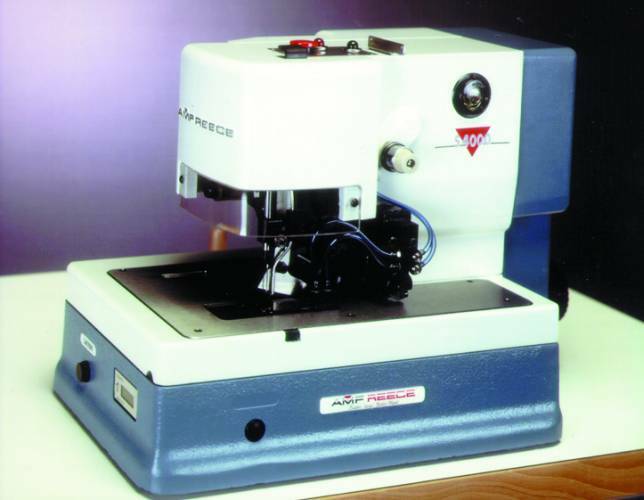 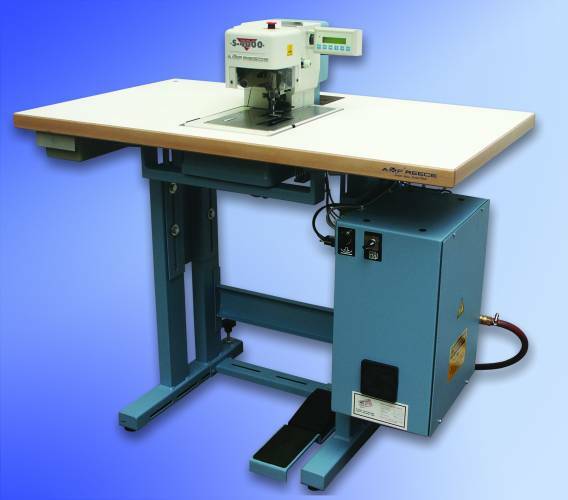 The S-4000 AMF Reece series is the most productive chainstitch special application machine line available with no bobbin changes and the only one with an electronic stop motion. 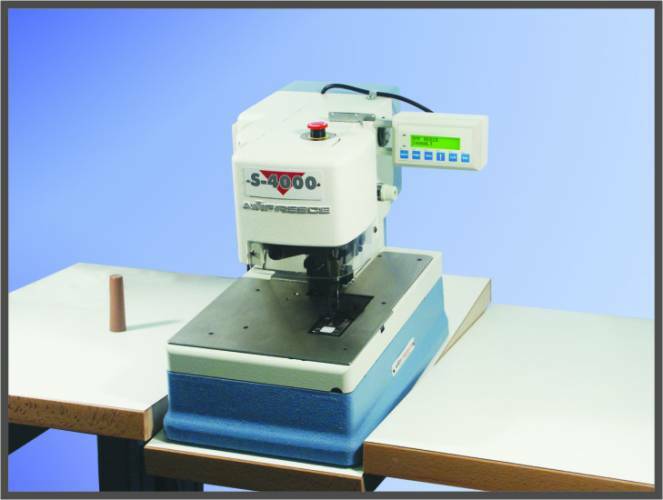 The S-4000 series offers six different machines depending on the application such as – straight buttonhole machine, imitation sleeve buttonhole machine with Indexer, tacker machine, lingerie tacker machine, cut after edge machine and label sewer machine. 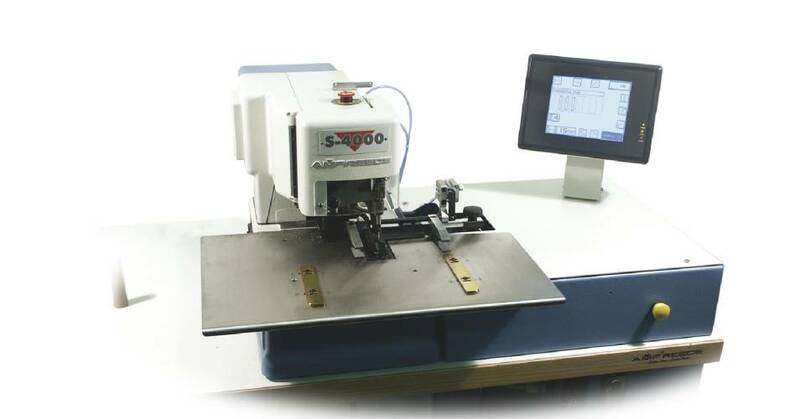 The high, electronically selectable sewing speed up to 3,800 spm makes the S-4000 the fastest chainstitch buttonhole and special applications machines available. 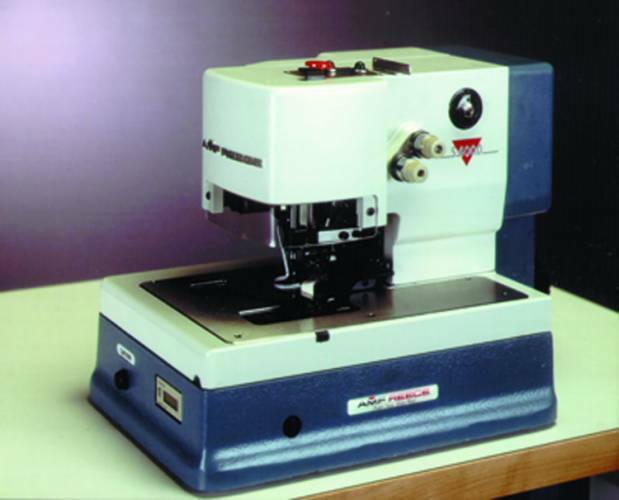 The elasticity of chainstitch provides the flexibility needed for many fabrics such as knitwear.